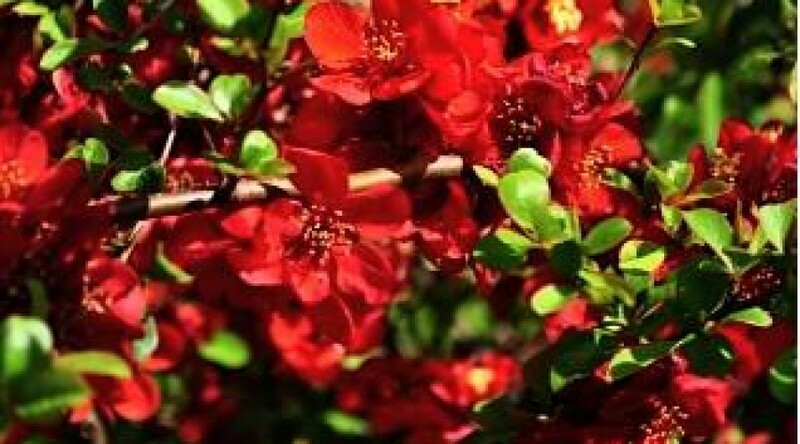 Flowering quince,Japanese quince, japonica. A spreading thorny shrub with mid-green glossy leaves. Clusters of cup-shaped, dark red flowers with yellow anthers are borne in spring, followed by green edible fruits ripening to yellow. Height 1.5m. Spread 2m. Flower colour Red. Flowers from April to May. Fruit colour Green, Yellow. Fruits from August Deciduous.